Photo of an alligator warning sign seen on the Gulf Coast of Florida. 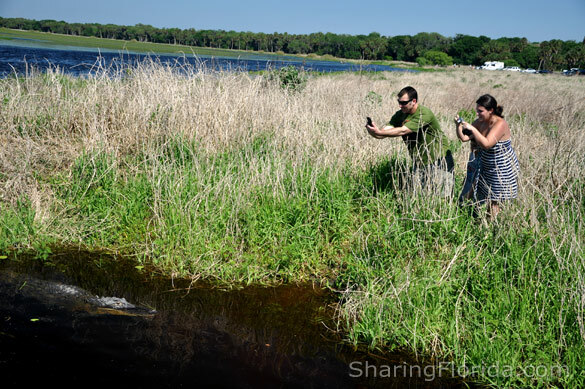 Also, DO NOT get this close to take a picture of an alligator. 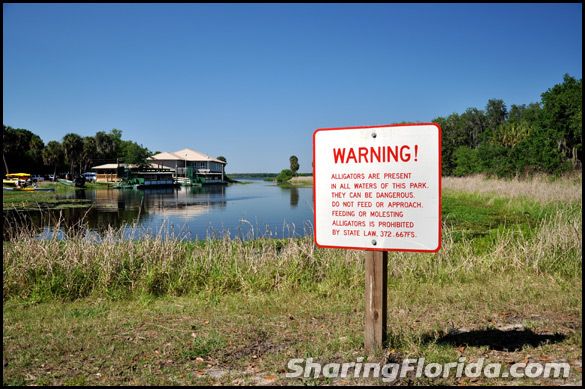 This photo was taken at the same place that had the alligator warning sign, pictured above.